It is most fabulously Friday, which means it's time for some delicious Tiddly Inks Inspiration. 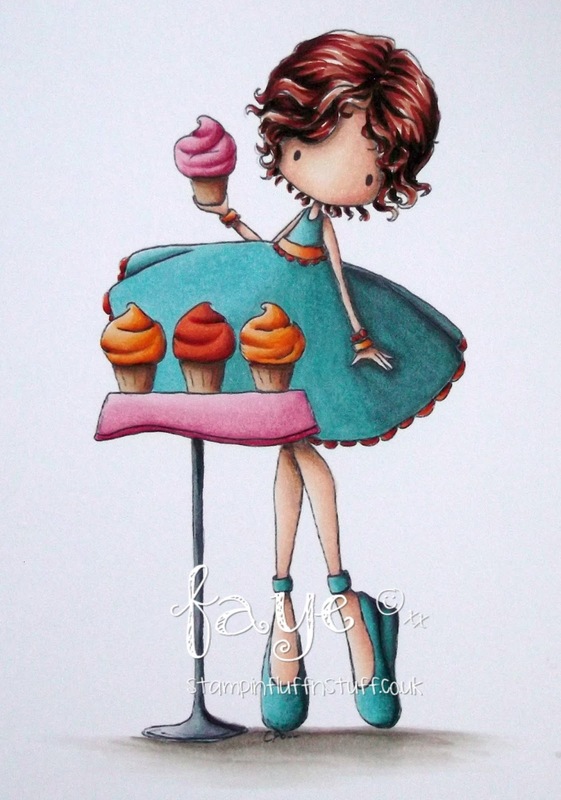 With last week's scrummy release still shouting at me to be played with, I would draw your attention, again, to the Disclaimer in the sidebar, before I tell you I thought I'd share my Cupcake Princess with you. Oooooh, look at those cakes! You rock Faye. I love love love this. Perfect colouring! Perfect paper! So totally perfect really!! Awesome...great coloring and pretty papers...love it! Have a wonderful weekend! How cute! Beautiful image and beautiful coloring, love that cup cake dp. So lovely, Faye! I adore the bright colours. Beautiful creation Faye, your colouring is awesome, I love this image and actually bought it, I am still waiting to colour her up, smashing make. Your card is very lovely Faye ! Caaaakke.......oh yes please - hope you are planning to bring some when you come to kidnap me and Squirrel! Just such another fabulous card Faye and your colouring never ceases to amaze me-just so professional looking! I would love some cake, thanks. Love this card! Dear me Faye... I was happy with my hair colouring on this lady till I saw yours... I'm now writing 100 lines of I MUST PRACTICE!! Gorgeous, gorgeous card... and mmmmmmm to those cupcakes! 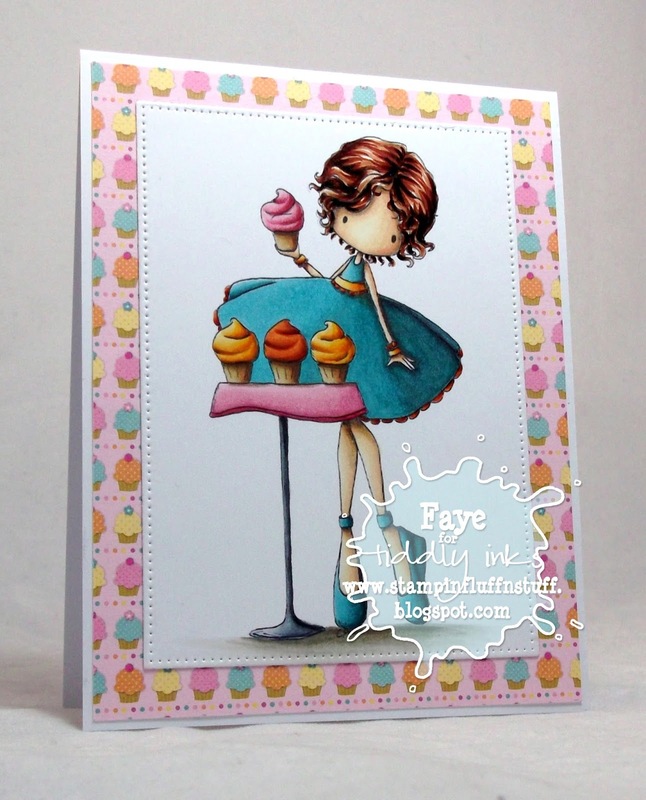 Hi Faye, not been for a while but oh my goodness this card is gorgeous, love the beautiful image. Wonderful card Faye! The image and papers are perfect together! Looks good in blue and look at her showing off her point work too. hugs Muver.